Gorgeous views, original art, fine furnishings, discreet service, only the very best in food, wine, design and location – not to mention awards galore: these are Africa’s 10 most ultra-luxurious accommodation options for when you want to pamper yourself on an African safari or honeymoon. Taking up a 2-storey penthouse suite above the One&Only Cape Town hotel, The One Above is a very exclusive holiday apartment that some of the best views in Cape Town. From the many terraces and living areas, you can see all the way to Table Mountain, Robben Island and across the city’s yacht marina. Filled with original art by top South African artists and featuring a library and not one but two rooftop swimming pools, The One Above is perfect for a family who want all the sophisticated comforts of home on tap. It’s not hard to see why Kate Middleton and Prince William reportedly spent their honeymoon at North Island Villa in the Seychelles: how do you beat a pristine tropical beach, spectacular diving, uninterrupted sunsets and chef who doesn’t bother with a menu but simply and effortlessly prepares exactly what you feel like? It is fitting that the owner of this wine estate in South Africa’s premier wine-producing area is connected to the glittering, polished world of diamonds – Delaire Graff has perfect attention to detail, from the exquisite spa to the landscaped gardens. Check into the Presidential Suite or Owner’s Lodge for arguably the best accommodation in the Winelands, with a cellar and cuisine to match. 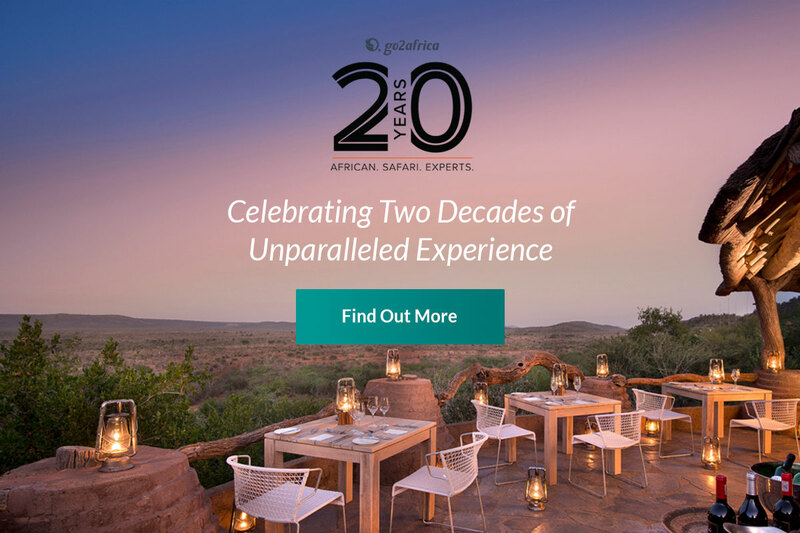 Londolozi has long been synonymous with luxurious safaris but their accommodation reaches its zenith at the three Granite Suites in the Sabi Sands Game Reserve, which is adjacent to the world-famous Kruger National Park. Perfectly designed and located in a very exclusive private concession, you will be able to sink into your indulgent outdoor bathtub between game drives, have private yoga session or edit your photographs in the private studio. De Hoop is a coastal reserve on South Africa’s picturesque Whale Coast, which runs along the ocean from Cape Town to Port Elizabeth. Ocean House is probably the most outstanding vacation villa along the way – after jetting in by private plane and landing on a runway with bontebok grazing peacefully nearby, you will have the 6-bedroom, eco-friendly house to yourself. Toast the sunset after sandboarding, unwind in the private hot tub while looking out for southern right whales or curl up with a book from the library in the 360-degree view living area. The Grumeti River in the Serengeti in where some of the most dramatic scenes of the Wildebeest Migration are played out as hundreds of thousands of gnus brave crocodiles and predators to cross the water. Nearby is Sasakwa Hill, the location of Serengeti House, a spacious 4-bedroom vacation villa that takes privacy and exclusivity on safari to the next level. The lap pool, tennis court and savannah views are all yours – and yours alone. Where Serengeti House is a rambling villa, Castleton near the Kruger National Park is broken up into six individual cottages, allowing teenagers or couples in the party to have their own personal space. Throw in archery, a spa treatment room, a tennis court, a wine cellar, a private chef AND tailor-made game viewing with a top guide, and it’s no wonder you’ll won’t ever want to leave. An automatic choice for celebrities from Oprah Winfrey to Ellen Degeneres, Ellerman House in the exclusive enclave of Bantry Bay exudes a subtle glamour and old-world grace. Strung along a seaside hill with views over the Atlantic Ocean, Ellerman House has a private modern art collection packed with the best South African names, a brandy bar, a vintage champagne cellar and an enviable location that is equidistant from the cosmopolitan Cape Town city centre, V&A Waterfront, Table Mountain and gorgeous beaches of Clifton and Camps Bay. A night or two in one of Africa’s supreme hotels is the perfect way to start or end a safari – a little treat or reward that shows you another side of this complicated, mesmerising and unforgettable continent!